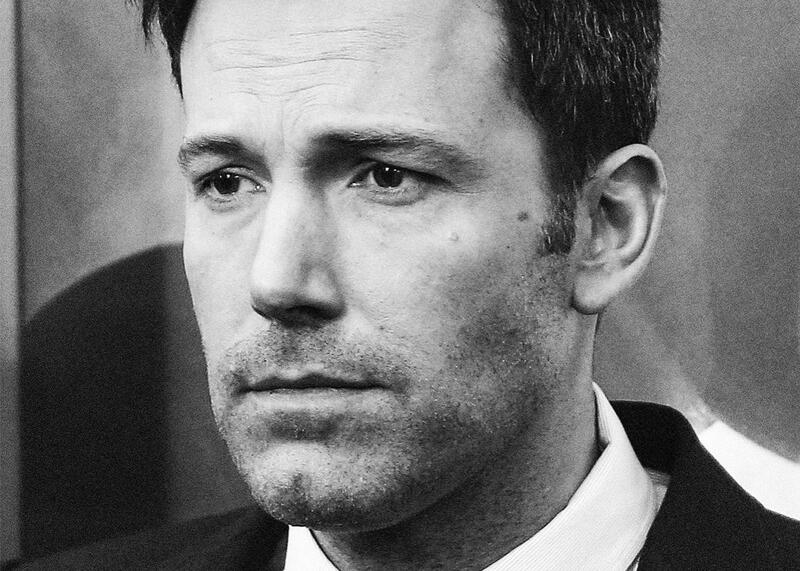 Sad Ben Affleck and Batman v Superman. You may have seen it. Ben Affleck and Henry Cavill, the co-stars and titular opponents of DC’s $250 million Batman v Superman: Dawn of Justice, sitting in front of a black background, the color of which will become quite fitting in about 30 seconds. An interviewer asks the pair if they’ve had the chance to look at the reviews of their new film. They offer some polite, obviously false version of, No, what do they say? The interviewer gamely suggests that the movie’s been met with a “mixed response.” And, as Cavill launches into a defense of the franchise that made him famous, Simon and Garfunkel’s “The Sound of Silence” kicks in, and we zoom on Affleck, who looks … very sad. Whether or not Tom Cruise did invent the global press tour before the release of Top Gun, as he claimed to Jimmy Kimmel while promoting Edge of Tomorrow in 2014, it’s now an expectation for the stars of big-budget blockbusters. You go country-by-country and interview-by-interview hawking your wares to audiences who may have no connection to the film you’re trying to sell aside from your face. Multiple producers told me that Leonardo DiCaprio’s tireless promotion of The Revenant both here and overseas was a major reason why it became a global hit, and DiCaprio’s willingness to shill made for plenty of Good Internet as well as a healthy drumbeat leading to the movie’s release, not to mention his Oscar win. That’s one way to frame it. Argo, of course, won Affleck an Oscar for Best Picture in 2012, a film that cost one-fifth of what BvS did and almost certainly received a fraction of the publicity and advertising spend. Argo did receive a wide release, opening in 3,232 theaters in North America to the tune of $19 million; compare that with BvS’s 4,242 theaters and $166 million, a sum greater than Argo’s entire domestic run. And beyond the scope of the release, the situation couldn’t have been more different. Affleck was the producer, director, and star of Argo, involved in every aspect of production, and it was a prestige release budgeted at only $45 million. Its No. 2 debut was considered a success. If BvS had opened at No. 2, there would’ve been executions. But prior to BvS, that prestige-film circuit was Affleck’s new life: Oscar-winning producer and critically respected actor and director, the adult version of the kid who won Best Screenplay for Good Will Hunting. Those years of wandering the Gigli wilderness were all but forgotten. When he acted for other directors, it was for celebrated auteurs, the Terrence Malicks and David Finchers of the world. Now, you might expect me at this point to say that nobody forced Affleck to don the Batman costume so recently vacated by Christian Bale, shattering the tight locus of control he had over his career and image. And strictly speaking, it’s true (cue a Batman monologue here about being held accountable for your decisions, and how you have to choose darkness, or whatever). But the simplicity of that answer belies how closely Affleck’s future is currently tied to Warner Bros., the studio behind BvS: His next acting/directing effort, Live By Night, adapted from a Dennis Lehane novel, will come out from Warner Bros. in 2017, and he stars in Gavin O’Connor’s The Accountant, which the studio will release this October. This makes sense: Affleck is an elite filmmaker both commercially and artistically. But considering the instability of the industry today, particularly in the realm of mid-budget, serious, adult-oriented films like the ones Affleck likes to make, it’s hard to deny that his partnership with Warner Bros. seems considerably more secure now that he’s an integral element of the studio’s largest and most important franchise. However, it’s impossible to separate the Affleck that writes and directs his own Oscar-caliber projects from the one who’s starring in BvS. Rumors flew that Affleck rewrote parts of the BvS script on set, and not only on set but in his Batman suit, the kind of gorgeous detail that gives an unsubstantiated bit of gossip like this its power. Affleck denied that he rewrote anything, saying that “there was not a line to change.” But whether he was standing at a laptop in his costume or not, his dismissal is still a misrepresentation: When Affleck signed on to the film, he brought in Chris Terrio, his screenwriter on Argo, to do a rewrite. Terrio’s now co-credited with the screenplay alongside David S. Goyer, who has an interesting history of his own; he and Christopher Nolan were co-credited with the screenplay of Batman Begins, but he only received a story credit on The Dark Knight and The Dark Knight Rises, with Nolan and his brother Jonathan being listed for the script. (Goyer received sole credit for Man of Steel’s screenplay, sharing the story nod with Nolan, who executive produces BvS.) Terrio is Affleck’s guy, and it’s a near certainty that his passes on the BvS script involved some sort of feedback and input from Affleck, even if the Batman never put gloves on a final draft document. With Terrio now a significant part of the DC machine, his presence is a powerful reminder of Affleck’s influence and sway. Affleck appeared, in his defense, to be trying to get ahead of the criticism. But it also demonstrated the forced exhaustion that is going to become increasingly common as the industry’s dependence on the superhero industrial-complex continues to grow. As more serious filmmakers and actors become enmeshed, for whatever reason, in the Marvel, DC, and other franchise machines—taking notes from merchandise-oriented execs and trying to make their movies mesh with a million other expanded universe stories—they’ll be doing these same colossal, soul-sucking press tours. And it’s not a comment on the quality of comic-book movies to suggest that because of these demands, we’re going to see plenty more actors and directors looking as tired, frustrated, and ready to be done in the years to come. The song accompanying that YouTube video may have been “The Sound of Silence,” but what we’ve heard from Sad Affleck over the past few weeks sounds much more like resignation. See also: The Overstuffed Batman v Superman: Dawn of Justice Builds a World, But Is It One We Want?